Pumpkin is a staple of the season and a super good source of vitamin A for gum health and enamel strength. 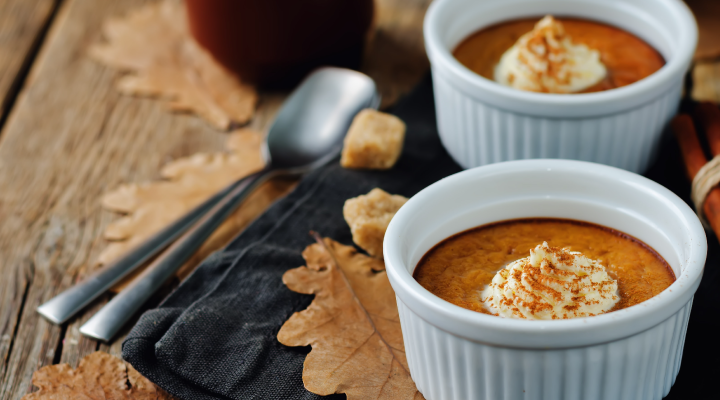 To avoid the sugar and starch often found in pumpkin pie, try this festive sugar-free recipe for pumpkin pudding. Beat pudding mix and evaporated milk in a large bowl according to package directions. Refrigerate mixture for 5 minutes. Add pumpkin and pumpkin pie spice and mix well. Refrigerate for 10 minutes or until ready to serve. For a little extra goodness, top with sugar-free whipped cream.